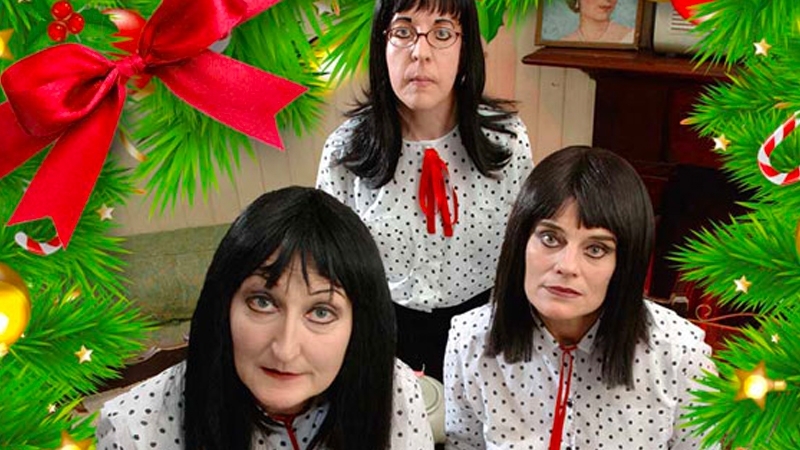 You are currently selecting tickets for the 03/05/2019 (6:00pm - 7:30pm) Kransky Sisters - A Very Kransky Christmas in May. This event has multiple dates or times.If you wish to change to a different event, please select a date, then a time before selecting tickets. In a quiet town in the middle of southeast Queensland lives a huddle of strange sisters whom, in between tending ants, knitting egg warmers, and hanging out cane toad skins to dry, travel around the country performing their popular musical shows to a growing following. This oddball musical trio marry curious real life stories with a host of uniquely homemade arrangements of popular songs gleaned from their old wireless in a highly entertaining event. The Kransky Sisters feature the enigmatic talents of Annie Lee, Christine Johnston, and Carolyn Johns, as Mourne, Eve and Dawn Kransky.